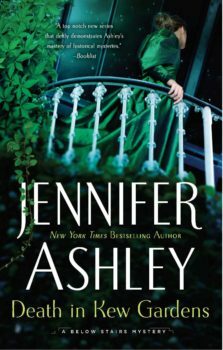 Captain Lacey is called upon to solve the cold case of a young woman drowned in the Thames years ago, but to do so he must enter a closed world unfamiliar to him. 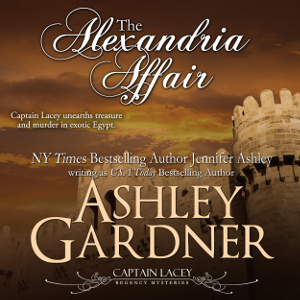 Captain Lacey travels with Grenville to Egypt with Brewster to guard him, and there finds intrigue, murder, and treasure. The Prince Regent asks Grenville to have Captain Lacey look into thefts from lavish Carlton House, but James Denis threatens Lacey to have nothing to do with it. 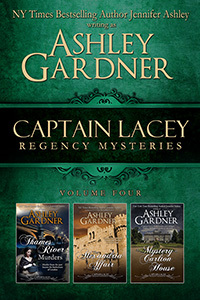 Join Captain Lacey, Grenville, Lady Breckenridge, Denis, Brewster, and more these three tales of Regency England.